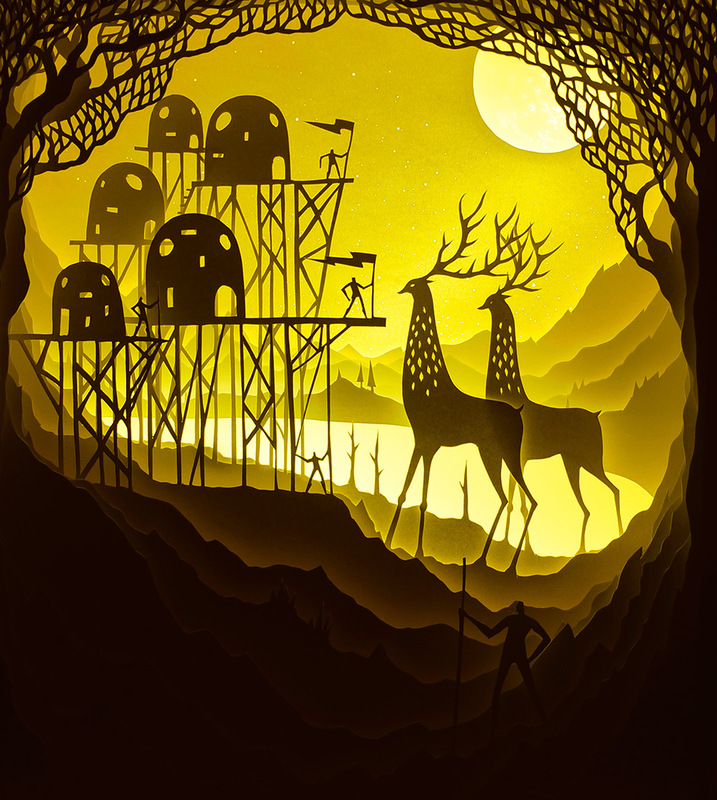 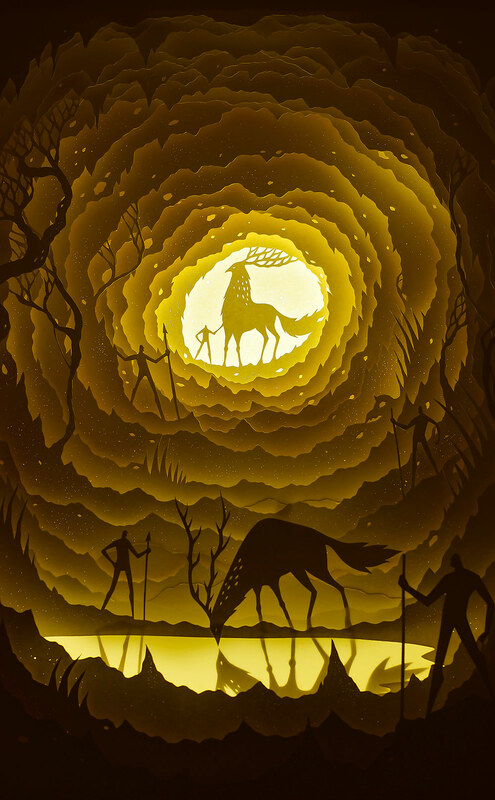 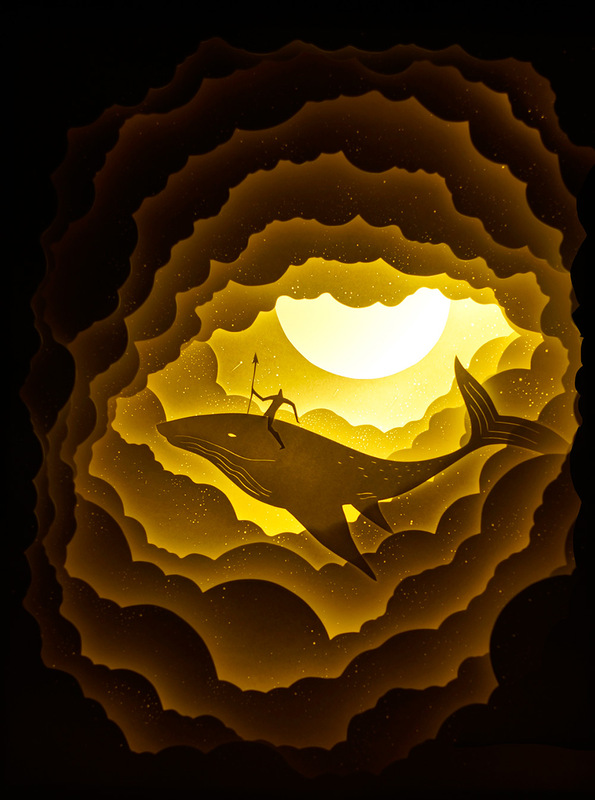 Denver based creatives Deepti Nair and Harikrishnan Panicker, collectively known as Hari and Deepti, have been casting beautiful shadows with their elegant backlit dioramas. 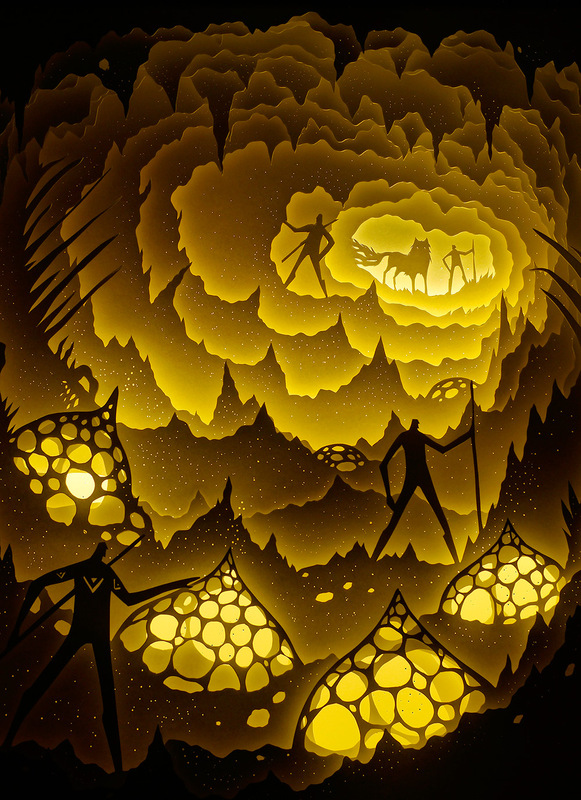 Painstakingly cut out of layers of paper and then housed in lightboxes, the artworks demonstrate the cavernous depths of mysterious landscapes. 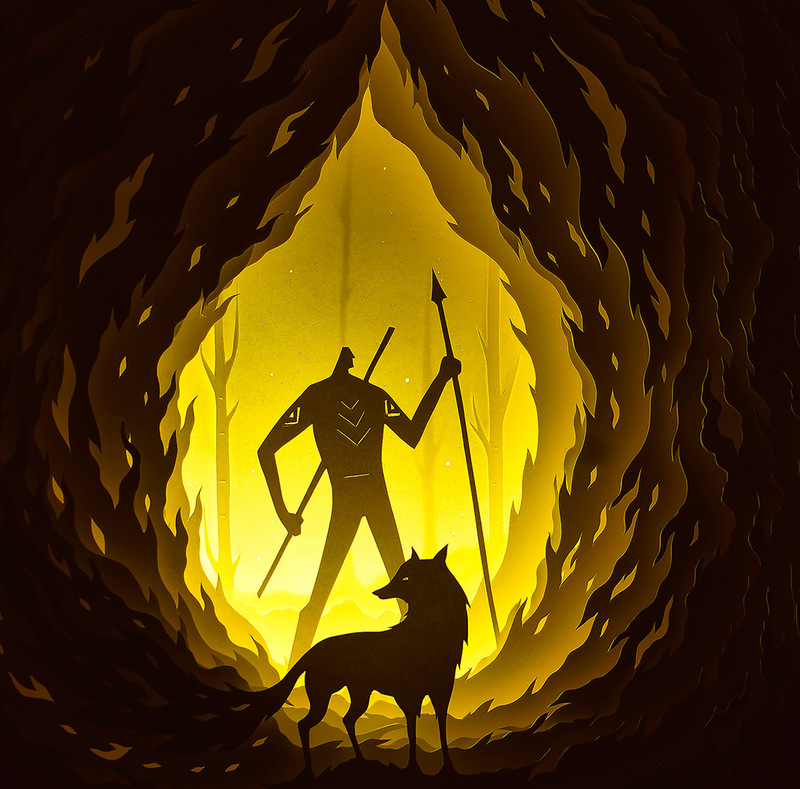 At once eerie and inspiring they feature explorer heroes and enchanting creatures, evoking another world that draws you in and provides an escape from our own.